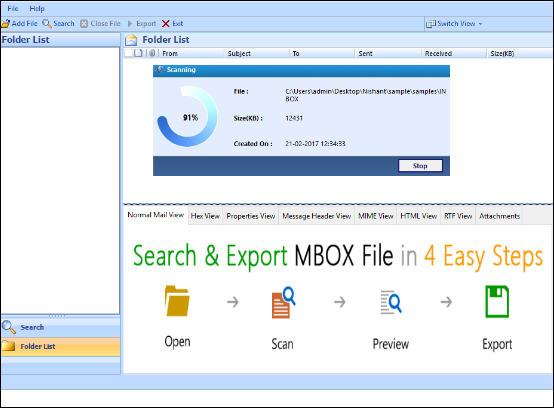 MBOX files compatible with Gmail Takeout, Thunderbird, Mac mail etc. Open and view the multiple .mbox files along with proper formatting without any email client dependency. Each email will be listed with its associated attributes such as From, Subject, To, Received date, Sent date, Size in Bytes. 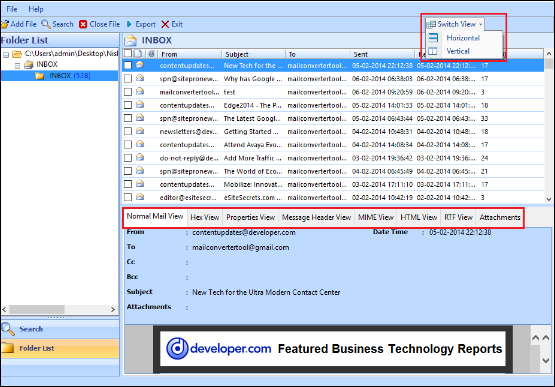 The free MBOX viewer generates the preview of attachments of the selected email. It allows the user to preview each mail and its attachment such as images, documents, and PPTs. Moreover, it supports to open all types of images like JPEG, GIF, PNG etc. The MBOX reader freeware offers an interactive graphical structure so that user can easily view MBOX files within few quick steps. 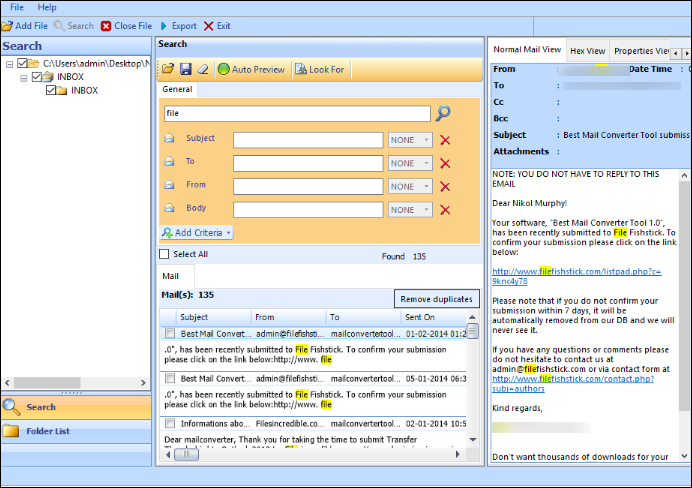 The simplicity of interface makes it useful for even non-tech user, who simply wish to extract emails from .mbox file. 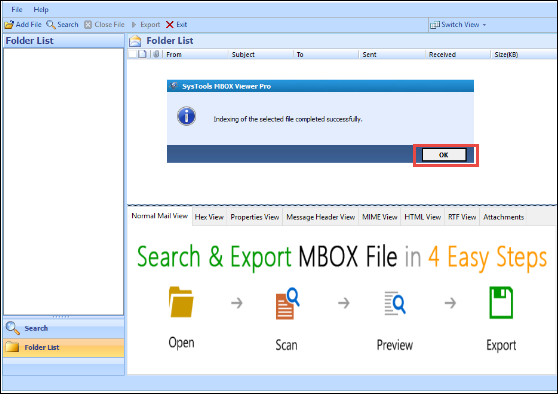 The MBOX reader tool has been designed to perform the quick scanning of each .mbox file emails with proper file/folder structure. During scanning, every artifact is extracted without making any changes in its format or data integrity. Being a standalone application, the MBOX Viewer software allows the user to read .mbox file without any dependency on Email client. 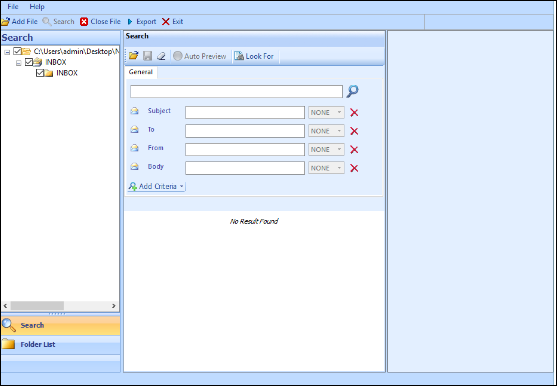 Thus, it makes easy and simple for the user to explore multiple .mbox file. After launching the MBOX viewer tool, it will appear in horizontal view mode that can switch to vertical view mode as per user convenience. Also, with this software user can read MBOX files accurately. Can I easily open the corrupted MBOX file using the MBOX Reader tool? Yes, MBOX Viewer tool can easily open and view the corrupted .mbox file. 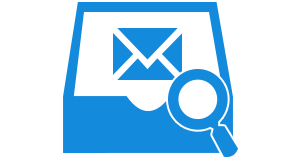 Also, provides complete support for the damaged or corrupted MBOX files. What is the maximum size of MBOX file, which can be opened efficiently? The MBOX Viewer allows to open any size of .mbox file. 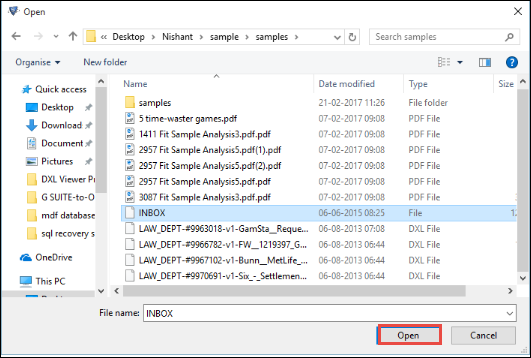 So, you can easily open and view the contents of MBOX files without any data loss. Is it possible that I can add and view multiple .mbox files at once with MBOX viewer software? No, you cannot add one or more .mbox files at a time. However, you can add multiple files one by one without any difficulty. Is the MBOX viewer tool compatible on Windows 10 platform or not? Yes, this software can open the .mbox file and read them in any Windows based machine including Windows 10, 8, etc. Is there any requirement to install any other email application to read & view the MBOX files? No, MBOX viewer does not require any email client. In-fact it is a standalone software to open and view multiple .mbox files. Now, scanning process gets started with required details like file location, file size and time duration. After loading the .mbox file items that you want to display with multiple view options like Normal, Hex, Message Header View, Properties, MIME View, RTF and Attachments View respectively. Even you can use switch option from Horizontal to vertical view to preview the messages as per the choice. OR : If you are not sure about a particular parameter, then, the software looks for the another option. AND : This option indicates that two collective parameters are available within an email. NONE : With the NONE operator, the software will disable the existing operator consecutively on the other parameters. After obtaining the result, you can easily view the highlighted email message from Mails Containing Exact Filtered Data Match option with the highlighted data. "When I tried to open my MBOX file in Word I had encountered an error message i.e., word experienced an error trying to open file 2013. I came to know that my document had gone corrupted therefore, I searched a lot for a software which supports damaged MBOX file and load content of it. Meanwhile, I came across this product and really it is a great utility. I was able to view my corrupt MBOX file without any complications"
"MBOX files was really an amazing tool to open MBOX file and view it. It helps to open a large number of .mbox files from thunderbird mailboxes without any kind of data loss. 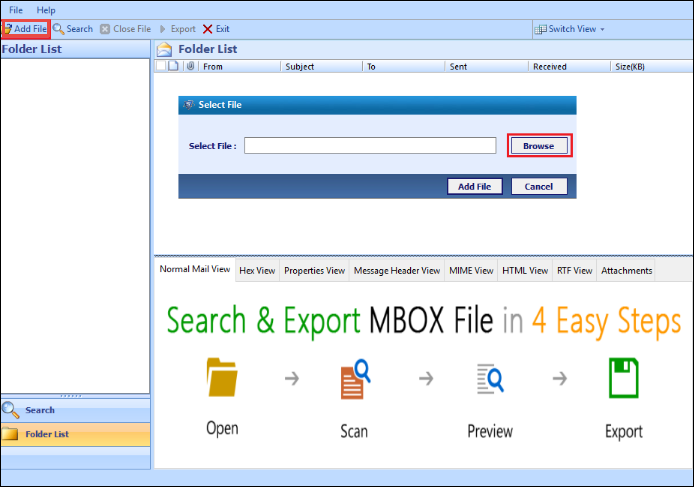 Even a novice user can easily extract the contents of MBOX file using this tool. I recommend that this tool is the best-suited application for all types of users. Heads off to the developer team who initiated such an amazing utility within the market."